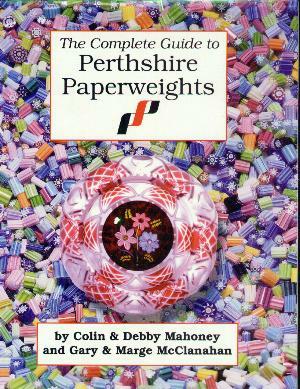 Mahoney & McClanahan "The Complete Guide to Perthshire Paperweights"
Colin & Debby Mahoney & Gary & Marge McClanahan "The Complete Guide to Perthshire Paperweights"
8 3/4" by 11 3/4". 1997. 184 pages with all pictures in color. This book is the third and most complete of three books on Perthshire. It provides a history of Perthshire, a description of the paperweight making process, and a guide to identifying Perthshire paperweights. 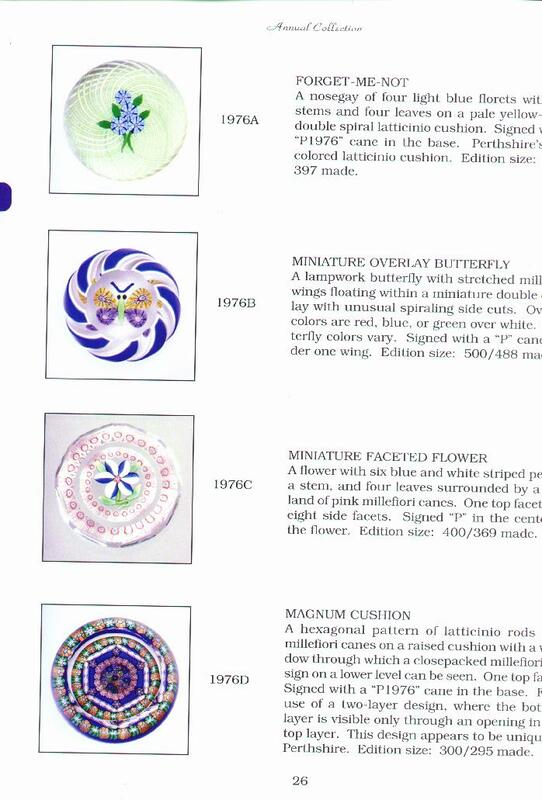 A beautiful book with great pictures and ample text describing each of the many paperweights made by Perthshire through 1997. Available in Soft Cover and a limited printing of Hard Cover copies.